Wind Turbines at Rothes Wind Farm. 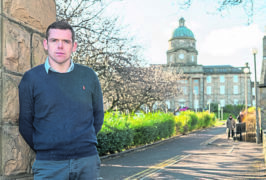 But Local MP Douglas Ross last night blasted the proposals, calling them “a form of blackmail” of local people. Numerous sports organisations and causes in the local area have benefited from funding from those developments. Douglas Ross MP at Dr Grays hospital in Elgin. Mr Ross, however, said: “Once again we have wind farm promoter telling communities how much money they can expect rather than focussing on the impact these proposals will have if they go ahead. Fred. 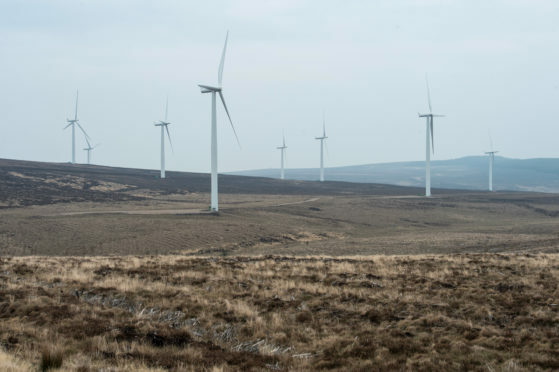 Olson Renewables also claim the wind farm extensions would also create additional construction jobs, with 22–31 full-time jobs in Scotland, an estimated 10–14 of which would directly benefit Moray. A spokesman for Fred Olsen Renewables said: “We are committed to community benefit and wanted to outline our commitment, which is in line with Scottish Government guidelines.